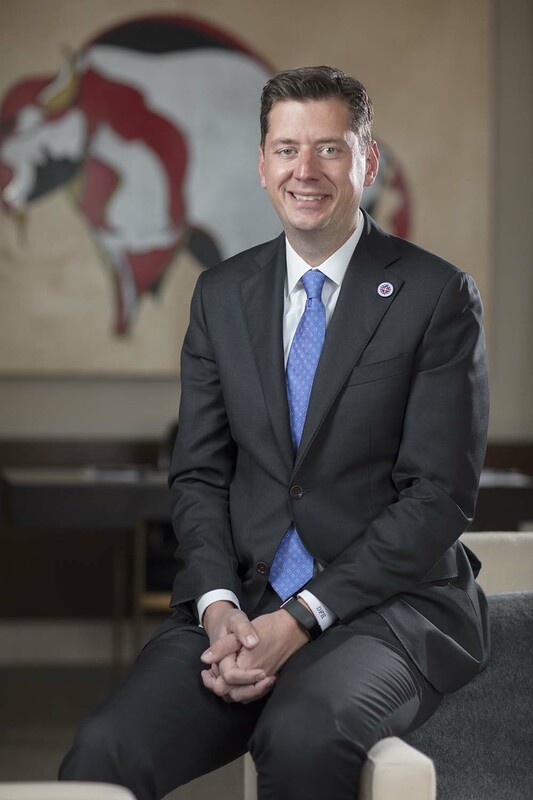 As OKC’s youngest chief executive since 1923, Mayor David Holt is changing the city’s leadership dynamic. country’s youngest mayor in a city with more than 500,000 people promotes diversity as the key to socioeconomic prosperity. He’s not a liberal from California. He’s not a Democrat from New York. He’s Oklahoma City-born-and-bred David Holt, whose term as head of municipal government enters its eighth month in December. Holt won with 78.5 percent of the vote, the highest victory for a non-incumbent in OKC mayoral history. As the youngest mayor since 1923, he replaced 14-year veteran Mick Cornett, for whom Holt was chief of staff from 2006 to 2011. The son of a teacher and a social worker says embracing diversity comes not necessarily from his parents, but his own experiences. “In Washington, I was often the only person of my race on the subway, which is unusual for many white men,” he says. “I’ve lived in places where I’m the only white male. I lived for seven years in the District of Columbia, which has long been a minority-majority city. Two steps – one symbolic, one strategic – illustrate Holt changing OKC’s leadership dynamic. In his office, he removed (and placed in another room) the photographs of previous mayors, all white men. He replaced them with portraits of 20 OKC children from all walks of life. “When I talk of diversity, I mean everything – racial, gender, age, geographic,” says Holt, the first member of the Osage tribe to become OKC mayor. In October, Holt rolled out the first of many appeals to OKC residents about what to do after the Metropolitan Area Projects Plan 3 (known by locals as MAPS 3) is completed in 2020. He wants to know if they want to extend a penny sales tax for a fourth time and, if they do, what they want to improve next. “I want to keep an open mind and have people offer their ideas,” Holt says. “I know people want to see more of the projects spread around the city and address social issues. We want to see what everyone has to say. “I have tried to prove that there’s room in American politics for consensus. 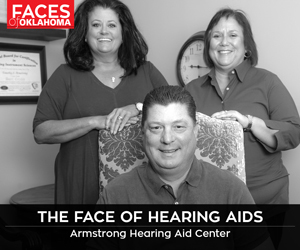 In Oklahoma City, our success in the past 20 years has been to set aside what divides us. We need to double down on what unites us. OKC Mayor David Holt is part of a movement in transitional leadership. Oklahoma City’s mayor has a message for people his age. It’s fitting that Holt and Tulsa Mayor G.T. Bynum, 41, have been friends for 15 years. Their cities, among the top 50 in population in the United States, are led by two of the youngest members of Generation X. Their electoral successes have come by appealing to a broad demographic of constituents. In April, Holt succeeded one of his mentors, Mick Cornett, when the latter gave up a secure position to run for governor. Holt, Cornett’s former chief of staff, was elected in a landslide. Despite ties to older, conservative Republicans, Holt reads from a different political playbook. Under Cornett, Oklahoma City transformed its downtown and adjacent areas through a series of penny sales taxes, the last of which will expire in 2020. Holt says he has no agenda regarding a Metropolitan Area Projects Plan 4, should it get on a ballot and be approved by voters. “I want to keep an open mind and have people offer their ideas,” says Holt, acknowledging that socioeconomic concerns and a geographic balance of projects throughout Oklahoma City will weigh heavily with many residents. For instance, he says, a MAPS 4 could focus on renovating existing schools or building new ones … or revitalizing other parts of the city not bordering downtown … or both … or something else.